Is IBD Covered Under the ADA? In the past, asking an employer for reasonable accommodation in regards to inflammatory bowel disease (IBD [Crohn’s disease and ulcerative colitis]) was a risky undertaking. 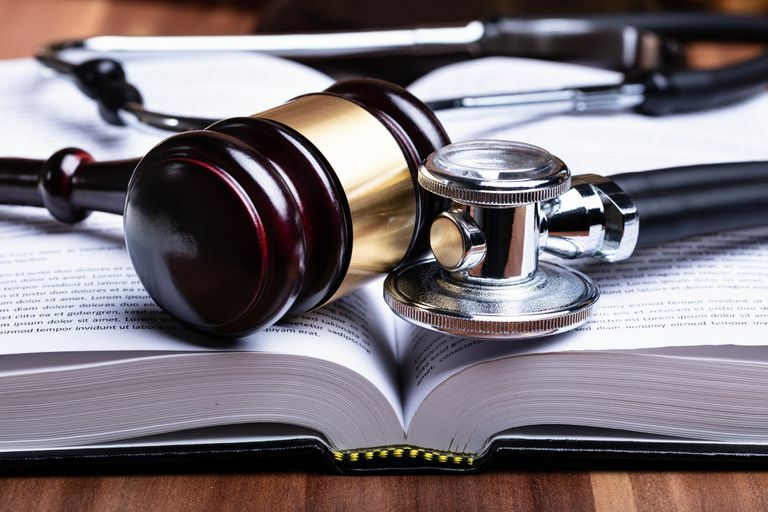 The stigma that people with IBD have emotional problems or severe stress was pervasive, and seeking legal recourse if one was discriminated against was not easy. There was no law in place that specifically protected people with IBD from losing their job if they became ill or needed accommodation. An amendment to the Americans with Disabilities Act (ADA) in 2008 changed this and offered some much-needed protections for people with IBD in the workplace. The amendment, which took effect January 1, 2009, protects more individuals under the ADA than it did in the past. A disability is now defined as a condition that substantially impairs a major life activity—even while that condition is in remission (which is broadly defined as the absence of disease activity). This is an important distinction for people with IBD, because the disease often goes through periods of active flare-ups and remissions, and it is not apparent just from looking at a person with IBD that they could need assistance in order to perform the duties of their job. A disability is now defined as a condition that substantially impairs a major life activity—even while that condition is in remission. A Definition of "Major Life Activities"
The first definition of major life activities in the ADA includes a fairly obvious set of abilities—caring for oneself, performing manual tasks, seeing, hearing, eating, sleeping, walking, standing, lifting, bending, speaking, breathing, learning, reading, concentrating, thinking, communicating, and working. The second definition of major life activities includes a list of “major bodily functions”—functions of the immune system, normal cell growth, digestive, bowel, bladder, neurological, brain, respiratory, circulatory, endocrine, and reproductive functions. These major-life activities can be impaired by a variety of diseases and conditions, but that isn't always readily apparent from looking at, or even talking with, a person. It's no secret that people with IBD would certainly be able to support a claim that their disease affects at least one major bodily function. Because of the frequency of extra-intestinal complications of IBD, it's also possible that several bodily functions might be affected by IBD and not just the digestive system. Now that digestion is defined as a major life activity, people who have IBD are covered under the ADA. Employers are required to make “reasonable accommodations” to assist their employees who are considered disabled by the definitions set in the ADA. As with many provisions of the ADA and other laws, there is room for interpretation as to what is a reasonable accommodation, and whether or not a particular person is entitled to them. If you think you are being discriminated against, you can look up your local Equal Employment Opportunity Commission office in the phone book under “U.S. Government” or call them at (800) 669-4000 (Voice) or (800) 669-6820 (TDD). Has This Law Been Applied to People With IBD? Yes, the amendment to the ADA has been used by people with IBD. There have been lawsuits brought by people with IBD who were terminated from their jobs because of the effect their Crohn's disease or their ulcerative colitis had on their job. In some cases, taking legal action may be the way to resolve the situation, especially if the employer is not open to arbitration or providing any kind of reasonable accommodation. However, most people would want to avoid a lawsuit with their employer. For this reason, the Crohn's and Colitis Foundation has developed a letter that can be used to communicate the need for accommodation to an employer. The letter can be customized, signed by a healthcare provider, and then provided to an employer. The goal is to allow a person with IBD to continue to do their job with some reasonable accommodation. In order to keep a job and perform well in that job, some people with IBD might need accommodations. IBD is covered under the ADA, so people with Crohn's disease or ulcerative colitis have a right to ask for changes that can make working possible. In most cases, an employer can make the adjustment and everyone comes out ahead. People with IBD should feel empowered to ask for what's needed and not suffer when there's an accommodation that can help them do their job better. Americans With Disabilities Act. "ADA AMENDMENTS ACT OF 2008." U.S. Equal Employment Opportunity Commission. 25 Sept 2008.